As our SharkScope Achievements new host TigerGaming, on the Chico Network is giving away a stunning $3000 in total just for playing on TigerGaming. $1500 will come by being in the top 5 on our TigerGaming achievements leader board and $1500 in a freeroll on the TigerGaming site, the second Sunday following the end of the month. All you have to do is play on TigerGaming and enter your screen name to the Sharkscope Achievements leaderboard to be eligible. If you’re not on TigerGaming, Join Now as July’s achievement challenge is about to heat up and now’s the time to earn those achievements. 5 is the magic number because the top 5 earn CASH and with just 5 Achievement points you are automatically entered into the Freeroll tournament on TigerGaming! When all is said and done the total in free money is $3000. Remember, all you have to do is enter your screen name if you’re a TigerGaming player and if you’re not, well what are you waiting for? Sign up NOW! SharkScope is proud to have a partner in the achievement challenge and we’re thrilled with the way TigerGaming has responded. We certainly suggest you play on TigerGaming! Our great relationship with Pokerstars only gets stronger when we comply with their requirements. Unfortunately PokerStars are now requiring us to use a default opt-in system on their regulated networks such as .fr, .es and .it as they have done for their regular .com network for a few years. What it means in the short term is that you won’t see the full compliments of stats until all the players Opt In. What you will still see is the” Ability Rating” and “Vs Me” Functuality. To minimize the effect of these changes for our users we have, through our Opt-In Cash Giveaway and other means, managed to increase the number of opted in players to a level which is many times more than those who have chosen to completely block their statistics. Thousands more players are currently opting-in each week. 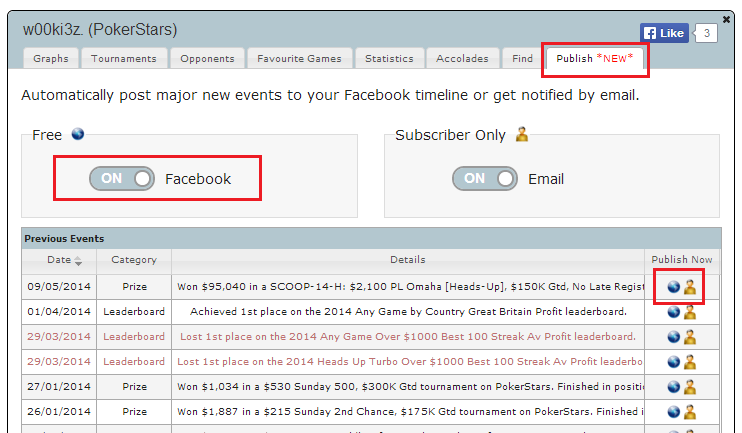 Alternatively email PokerStars support with your request and they will pass it on to us (no screenshot required). 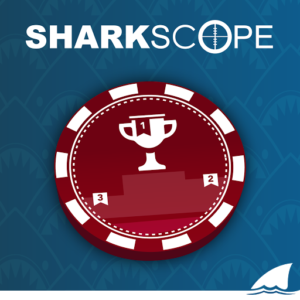 In order to keep SharkScope as the number 1 source for your statistics we are complying with the PokerStars requirements. We greatly appreciate your understanding and value you as a loyal SharkScope customer. 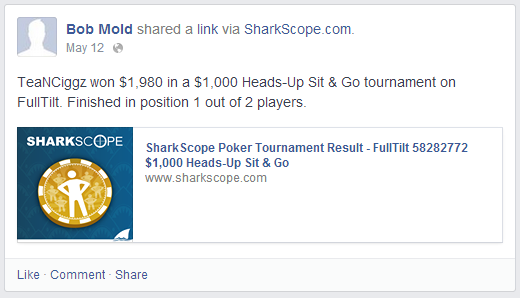 SharkScope has always featured information that turned into an important add-on for Tournament and SNG players. SharkScope provided the ability to get historical and up to the minute statistics of online players when they play tournaments. The tag line is “Avoid the Sharks” and while that is very true, it also gave players a chance to search their own data, which ultimately helped those savvy enough to break down the stats, to better their own game and ultimately become a positive ROI player. Early on SharkScope created an online HUD (Heads Up Display) that over-layed on the table the same information players could get on the site, but it was real time and right there on the screen that you are playing on. There were and are other choices for HUDs but they displayed a completely different set of figures and percentages. They tracked the hand histories and broke down the data into a percentage type overlay that would give you a real-time read on how an opponent played over time. (Percentage of raising on the button, the percentage they defended the Big Blind, a Percentage of continuation bets on the flop, and many many more key indicators) These HUDs not only take into account hand histories, they add real-time information as well, so as each hand ends the data updates. Further, you can do a self-analysis on your play. This allows you to find your strengths and weaknesses and break them down into your key indicators, such as type of games (Hold Em, Omaha, Etc. ), blind amounts, bet sizing etc. Lastly, they also covered ring games (Cash tables), so you can build your bankroll using those stats one hand at a time. All in all, if you’re serious about becoming a better player, both types of HUDS are vital to improving your game, and both gave you different stats and percentages, so both were extremely helpful and necessary. No one can dispute that information in poker is king! As most progressive companies do today, SharkScope improved, upgraded and re-designed their HUD to better meet the needs of their customers worldwide, so SharkScope married the two types of HUDs, as only SharkScope could, because the other HUDs that are available have no access to SharkScope’s data. Welcome to the New SharkScope Desktop HUD 1.0! Why now? Well, it’s because the players today are much more number and percentages centric and after all “Poker starts and ends with math”. 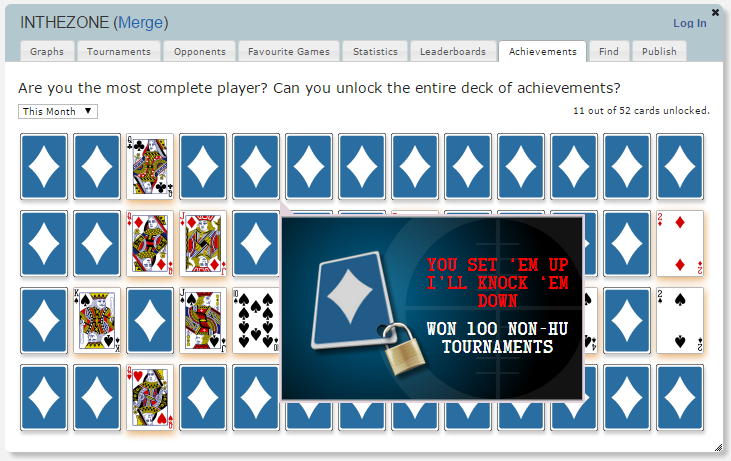 Competition in the Online Poker HUD market is great for players. The players input has literally re-built these HUDs. They all had a great base of features’ but the players spoke about what they’d like to see and the designers listened. In doing so, all the HUDs were defined and then redefined many times till it became the fine-tuned Online Poker Tool that it is today. SharkScope saw this as an opportunity to do something that the other HUDs couldn’t do. They developed a HUD that could do, well everything. The reason is that while SharkScope has access to the same information that the other HUDs have, none of the other HUDs have access to SharkScope’s information. Add to that a hand replayer and it becomes THE most complete HUD on the market today. The New SharkScope Desktop HUD is always going to be a work in progress. The game of poker is ever evolving and so it only follows that the HUD will continue to evolve. That can happen with your questions, and ideas, as well as giving us all your feedback, the good and the better or anything you think should be refined. And there’s nothing too small or too big that you can tell us. The goal is for all of us to have access to a World Class HUD, the Gold Standard in our industry, and we can only get there with your input. Because of your help up till now, in the very near future we’ll be announcing many new Ground Breaking Features and those using the HUD will be the first to try them out. Flexibility…there are options within the HUD which allows you to customize what you see on the overlay, so if the full suite is more than you want simply click a few buttons and now it’s YOUR HUD, molded to display exactly what you want to see. SharkScope Desktop 1.0 is now officially released. The Desktop is a revolutionary application that combines the tracking of hand histories with the HUD display of SharkScope statistics and SharkScope database Syncing. The HUD and data sync are included in Silver subscriptions, whereas the Hand Tracker requires a Gold subscription or for a stand-alone purchase. This is exclusive to CarbonPoker and no one else in the industry currently offers these. We hope that other poker rooms/networks realize that there is a void in their speed offering after Hyper Turbos and adopt this format. CarbonPoker is excited to bring players the fastest Sit & Go’s on the planet with Supersonic Sit & Go’s. A Supersonic Sit & Go is a format where blinds increase faster than any other game type you have experienced before. Including Hyper Turbo! 4-Max, where the blinds increase every 2 minutes and players begin with a 300 chip – starting stack. And Heads Up, where blinds increase every minute and players begin with a 1,500 chip – starting stack. Supersonic Sit & Go’s do not offer a time bank to allow for the fast paced, non-stop action! To take part in this fast and exciting tournament format open the Poker lobby, go to Sit & Go and click on Supersonic to start playing the fastest poker you have ever played! We’ve just added some exciting features to SharkScope. The new automated publishing system allows you to automatically or manually post major events on your social timelines or get directly notified through other channels such as email. Just configure your publishing options in the Publish section of the player tab, so that future events are sent to your publishers, or click on the “Publish Now” buttons to immediately publish an old event. Publishable events currently include major tournament successes and SharkScope leaderboard position changes, and will be expanded to include other achievements in the future. Has Full Tilt Poker “Flipped Out” again? Apparently so but this time in a NEW and EXCITING way! FTP announced a new tournament format called “FlipOut’ which has 2 rounds that combines an exciting Shootout All-In format that if you win puts you in the money which then continues in round 2 as a regular MTT tourney with one caveat….You’re already in the money. That’s right get lucky enough to win round one and you not only advance but you’ve cashed! Round one is purely luck and runs from 6 or 9 handed tables down to one with everyone all in on every hand. These will go rather quickly. By the way, this happens very often at the WSOP during the hours before the Main Event is about to start. Like the WSOP winning that single table shootout gets you into a scheduled tournament that’s upcoming on FTP, in fact once you register you don’t even need to be logged in to advance. Good Luck in round 1 and play good in round 2!